Welcome to our gallery. As we are a new company, the gallery is quite small at this time, however we expect it to grow tremendously over time so please make sure to check back here quite often as new images will be added on a regular basis. Speaking of which, this is one area where we can really use your help. 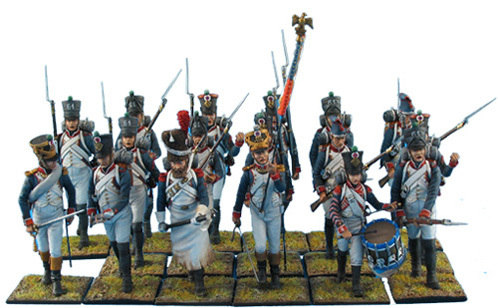 If you have any photos of our figures either in a a dramatic display or in a wargame, please feel free to email them to us for possible inclusion in our gallery. Even if they don't make the website, we'd love to see what you're up to and how our products are being used. Please click the image below to be taken to the appropriate gallery of our figures.